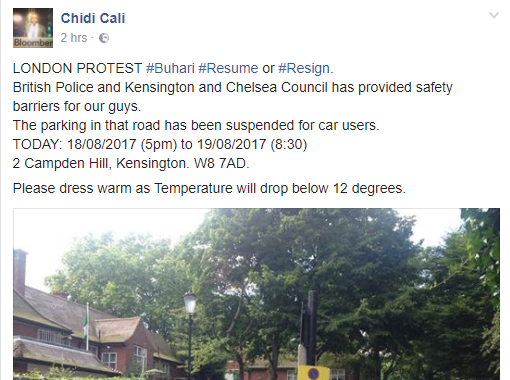 The Resume or Resign protest might have been suspended in Abuja, Nigeria, but it is about to kick off somewhere else and it's at the ABUJA HOUSE, in London. 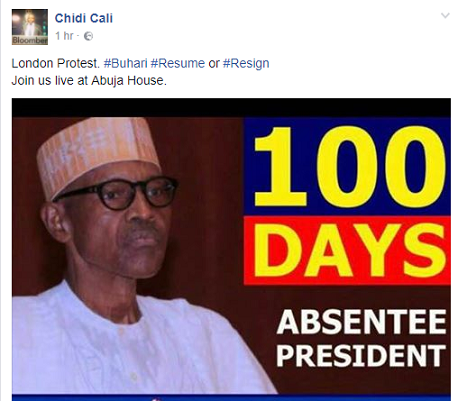 Led by Chidi Cali who has also been in the support of the President getting back to office or simply resign on health grounds. He also took to his Facebook page to announce that the British Police & Kensington and Chelsea Council have provided safety barriers for them. The road in that area has also been suspended for car users, due to the sit out protest. It's about kicking off now and it will be till 8:00am on Saturday. 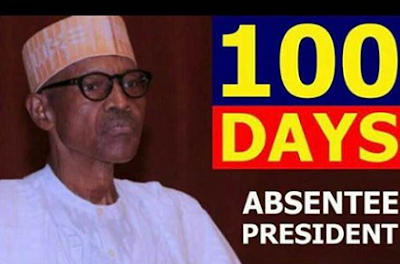 Guys will be In front of Abuja House till 8:00am on saturday morning. Shame! Shame!! Shame!!!. They will say don't talk, but i couldn't help but say SHAME! I'm sorry, just can't help but use that world. SHAME! SHAME ON US ALL! SHAME ON THOSE THAT PUT NIGERIA HERE. SHAME ON EVERYONE WHO WAS IN POSITION TO FIX HEALTH CARE AND COULDN'T. MAY GOD FORGIVEEEEEEEE YOU ALL. JUST SHAMEFUL!